Dance News Atlanta, Georgia is the central reporting site between Dance - Atlanta Night Life ( NightLife ), RMC and Dance 4 America, as well as other sittes for more detailed and in depth reporting. Several Dancers Core and the Emory University Dance Program, in conjunction with The Field (New York,) offer local area independent artists the opportunity to grow their work in the Spring 2007 session of Fieldwork. Consisting of 10 weekly sessions, artists of all art forms — visual, music, literary, dance and performance — engage in facilitated performing & viewing of works-in-progress. The Wednesday night sessions, facilitated by storyteller, Ann Ritter, will begin February 21, 2007 and will be held at the Several Dancers Core Studios in Decatur from 7:30 to 9:30 p.m.. The ten weeks of workshop sessions will conclude with an open public performance, on April 29, 2007 at 7:00 p.m., showcasing works developed through the feedback process at Emory’s Schwartz Center for the Performing Arts. The cost for the ten-week session is $50. The workshop will be facilitated by storyteller and long-time Fielder, Ann Ritter. Ann is a performer, business woman and mother who lives in Decatur. She is a five-semester veteran of Fieldwork and sits on the boards of Beacon Dance Company and Friends of Theatre at Emory. 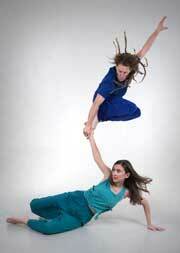 She has performed with Beacon Dance and has developed autobiographical solo pieces. She is currently at work on a performance piece based on the life of Georgia novelist, Flannery O’Connor. Join “Atlanta’s best known contemporary dance company” (AJC) for lunch on Friday, March 2, 2007! Several Dancers Core is pleased to announce the fourth installment of this seventh season of our popular free lunchtime performances, “Lunchtime in the Studio.” The event will take place at the Several Dancers Core studios at 139 Sycamore Street on Decatur Square, from noon to 1 p.m.. Admission to Lunchtime is free. Free lunch for the March installment is provided to the first 40 audience members by Brick Store Pub and Sweet Melissa’s, and coffee is donated by Starbucks Decatur. Opening the studio doors and inviting audiences into the creative process, “Lunchtime in the Studio” has been called “a close-up and personal look at how contemporary dance is crafted and performed” (AJC). The topic for the March installment of the series will be “Artist as Educator.” The company will discuss their educational programming and the role movement education can have in schools, and with populations at risk. Several Dancers Core offers workshops and residencies for school aged children through college, and an outreach program, Dynamic X-Change, that brings the healing power of movement to populations at risk through partnerships with local service organizations that serve those communities. Founded in 1980 by Sue Schroeder and Kathy Russell, over 26 years Several Dancers Core has grown into a multifaceted dance organization spanning two cities and generating connections throughout the world. Several Dancers Core has built a sustainable arts organization which provides opportunities, programs and support for artists, students and populations at-risk. The philosophy of Several Dancers Core centers on a commitment to fostering creativity and to experiencing the power of dance as a method of deepening the experience of the present and re-envisioning the future. Begun in 1999 to give audiences a chance to see behind-the-scenes aspects of dance-making, “Lunchtime in the Studio” is a series of five in-studio performances in alternating months throughout the CORE Performance Company season. “Lunchtime in the Studio” offers a free “backstage pass” to audience members who witness and participate in the process of creating art. The final Lunchtime event for this season will take place on May 4. For more information about this and other upcoming events, please contact Several Dancers Core at (404) 373-4154 or visit www.severaldancerscore.org . Today, approximately one-third of the South America’s population is of African descent, yet there are few opportunities for Afro-Latinos to explore their African heritage. To promote the rich and vast history of Afro-Latinos, Afro-Peruvian theater group Teatro del Mileniopresents Atlanta audiences their hit dance theatre production Karibu. Combining vibrant theater, dance and music through unconventional art forms and instruments, Karibu defies the marginalization of cross-cultural history among Afro-Latinos by celebrating the power and value of their culture. 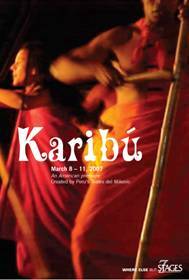 All performances of Karibu are performed at 7 Stages Theatre from March 8-11, 2007; performances are conducted in Spanish with English supertitles. · Human stomping and clapping dances—known in America as “stepping,” these dances provide complex and rhythmic human beats to portray everything from tribal, warrior battles to everyday activities still experienced on the streets of Peru. Rounding off the entire musical experience is passionate, melodic singing from the heart of Afro-Peruvian music created by Teatro del Milenio. “Karibu is a real treat for the eyes and the ears,” says Del Hamilton, 7 Stages Artistic Director. 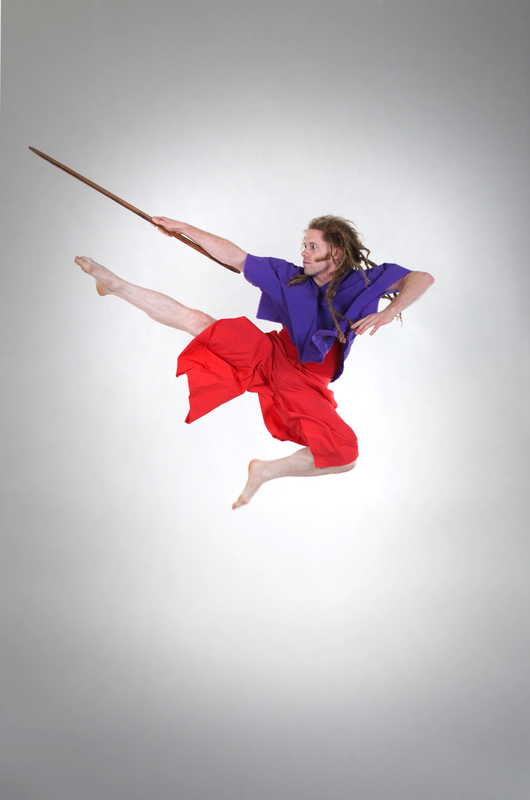 “It represents just what 7 Stages strives for in presenting innovative, international theater for Atlanta audiences.” Audiences will be familiar with this style of dance theatre from productions such as Savion Glover’s Stomp, but will be captivated by the truly authentic quality of this production, indigenous to South America. This production is sponsored in part through funding from the National Performance Network’s Performing Americas Program. All performances of Karibu, take place on the Mainstage at 7 Stages Theatre, located at 1105 Euclid Avenue in Atlanta’s Little 5 Points. Tickets are on sale now and may be purchased by calling 404-523-7647 or by visiting www.7stages.org. To schedule an interview with members of Teatro del Milenio, please contact Tori Allen at 678-884-4008 xt.701. Digital Photography is available upon request.